Sad news from Echo Park, as the body of a missing bike rider has been found in Echo Park Lake. Twenty-seven year old Ramon Piche Beltran disappeared last Tuesday while riding with a friend. He left his bike, bag, cell phone and shoes at the park with his companion, promising to return, but never did. He was found in the lake around 10:30 am Saturday; no cause of death was reported. A gofundme account to help support his family has raised over half of the $10,000 goal. More bad news from the Echo Park area. An Instagram post from cachicken reports that a bike rider was killed in a collision at Temple and Burlington sometime Saturday. A photo shows a bicycle lying in the street, a badly damaged car nearby with the driver’s door smashed in; a comment to the post says the driver tried to flee but was caught. However, I’ve been unable to confirm the report so far, either through the press or through official channels. I’ll let you know if I get more information. Thanks to Danny Gamboa for the heads-up on both these stories. Cops sometimes get a bad rap these days, but there’s some big hearts in blue out there when it comes to bikes. After a teenager’s $1,500 bike is stolen at a BMX expo, a Utah cop works to get him a new one, and even throws in some of his own money — then gets the bike signed by the BMX pros at the event. When a little girl’s bike was stolen, a pair of bighearted Montana cops drove to Walmart and bought her a new one. Meanwhile, a Spokane cop proves the local kids aren’t the only ones with mad bike skills. Then again, it’s not just cops. A British bike shop surprises a three-year old leukemia patient with a customized stunt scooter from the US. Good read from a Scottish cyclist, who starts off saying bicycling has an image problem in the country — like just about everywhere else — then covers all the bases from political inactivity to making the streets a more democratic space. 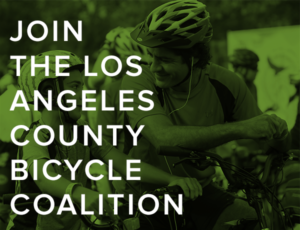 The LACBC is looking for volunteers to support Bike to Work Day pit stops on May 19th. Cal State Northridge students can now get free bike repair wherever they are, as the student association opens a mobile bike repair shop, which charges for parts only. A mountain biker from LA is recovering after being bitten by a rattlesnake while riding above Altadena; with no cell reception, he had to ride five miles to get help. An Orange County mountain biker was rescued in critical condition after falling 200 feet off a Laguna Beach trail. Seriously? Del Mar and Carmel Valley residents oppose an on-demand stop light intended to improve safety for kids walking and biking to school because it might increase congestion and be hard to see. So they’re saying the life of a child isn’t worth having to stop for a few seconds every now and then? Got it. The San Diego Padres will take over sponsorship of the city’s Pedal the Cause to raise funds for cancer research. 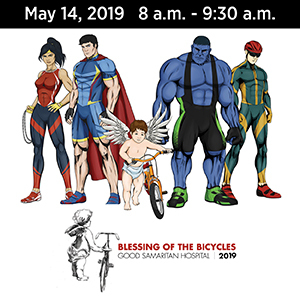 San Diego cyclists ride in honor of Gordy Shields, the bike advocate and racer who fought for a soon-to-be-completed bikeway around the bay, right up to his death at age 95. Napa Valley considers replacing planned flyovers on a busy freeway interchange with traffic circles, in part to improve safety for cyclists. A South Dakota couple thanks Redding police for recovering their bicycles just two days after they were stolen. City Lab says the best way to avoid bad street designs is to copy the good ones. Now that both are gone, Portland’s annual Bowie vs Prince Ride is ending as well. A Washington driver was allegedly under the influence of alcohol, marijuana, benzodiazepines, anti-depressants and sedatives when he fled the scene after running down a cyclist; he passed out in the back of the patrol car after his arrest. But other than that, he was perfectly sober, right? A year later, there’s still no arrest in the apparently random shooting of a Colorado man who was fatally gunned down while riding his bike. Shameful. Twenty-one Iowa bike riders have been killed in collisions since 2011, yet not one driver has faced a single day in jail; the most common punishment was a $250 fine. Nebraska gets it’s first protected bike lane on a Lincoln street. Slap, meet wrist. 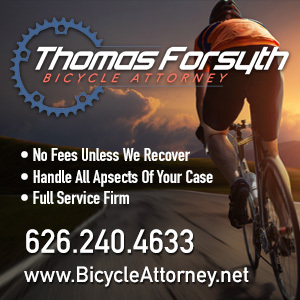 A 72-year old Minnesota driver gets a whole one year of unsupervised probation for killing a cyclist after crossing onto the wrong side of the roadway, and slamming into the man as he rode his bike on the opposite shoulder. The New York Times offers a guide for nervous cyclists attempting their first ride in the city. Over 150 wounded vets are teaming with 600 able-bodied cyclists on a 110 mile ride from the Pentagon to Gettysburg to help them come back from their injuries. A Charleston driver gets it, saying the debate over a proposed bridge bike lane is really a question of the convenience of motorists like himself versus the safety of bike riders, even though he’ll never use it himself. Not everyone gets it, though; another driver complains about the seven seconds the lane might add to his commute. Yes, seven seconds. NPR looks at the scourge of motor doping. The Times says Brazil’s fatal bike path collapse raises questions about the country’s readiness for this summer’s Rio Olympics. It should raise a lot more questions than that. An international coalition is working to connect bikeways on both sides of the Detroit River in the US and Canada. A bike cam view shows exactly why a proposed Toronto bike lane is needed. Montreal police want to ban bicycling under the influence, while a local cycling organization says there are bigger problems, like dooring. A London woman tries every other commuting mode, and finds bicycling is still the quickest, most pleasant and nearly the cheapest way of getting to work. But wonders if she should get back on her bike after her third wreck in 10 years. The Department of DIY strikes in the UK as someone paints “Door Lane” in a door zone bike lane. The only separated bikeway in Hyderabad, India falls victim to a multi-level road widening project. That’s one way to improve bike safety stats. The draconian fines on cyclists in Australia’s New South Wales appear to be scaring people off their bikes. A writer in Singapore looks at the conflict between motorists and cyclists from a decidedly windshield perspective, and throws pedestrians in for good measure. No sexism here, as a track cyclist is told to forget the Olympics and just go and have a baby. Evidently, it doesn’t take much to terrorize the streets of London; a few hundred wheelie popping teenagers will do the trick. And 400 years after his death, research proves Shakespeare was one of us. 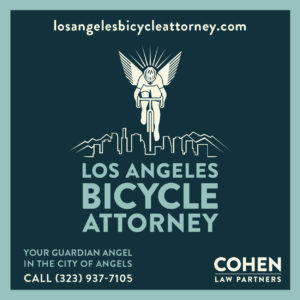 Our prayers go up for the family and friends of Mr. Beltran and the victim of the collision in Echo Park.